There aren't enough food, service, value or atmosphere ratings for Royal Bakery, India yet. Be one of the first to write a review! Super selection of biscuits, cakes, very reasonable priced.The sweet toast is also very good. Must try. Super biscuits, well laid out, tasty, super quality. Ginger, Khari, Batasa, cheese Papri, rusk toasts, sponge cakes are all very good. It's a must if visiting Pune. Best place to buy bakery products. Breads used to be awesome here, because they never used yeast, instead they used hops. Not sure if they still continue the same recipe. This time when I went, i could not get breads. Their cakes & cookies are equally good. They are different. You will have hit paydirt if you stumble upon Royal Bakery at 4 pm, because that's when the first lot of cakes is out of the over. Moist and velvet textured cakes. 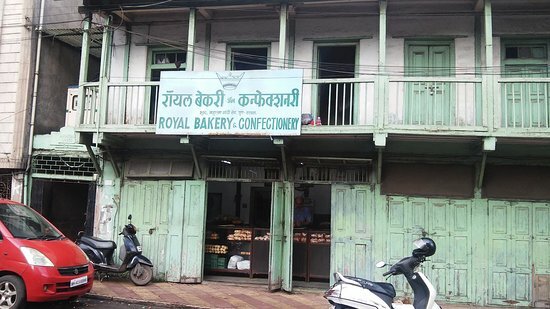 One of the best in Parsi Bakeries in Pune! Go. Get quick answers from Royal Bakery staff and past visitors.